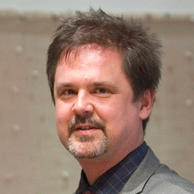 Byman is Secretary-General of Radiohj&auml;lpen, which he joined in June 2012. Between 2005 and 2012 he worked for the Swedish International Development Cooperation Agency, SIDA, where he served as head of the humanitarian unit responsible for disaster relief. From 1999-2005 Byman worked as a program officer for human rights and democracy at SIDA’s unit for South Eastern Europe. Between 1991 and 1997 Byman worked with humanitarian projects and reconstruction in Bosnia and Herzegovina for the organization ,Caritas”. From 1997 to 1999 he was a press officer at Caritas Sweden.